Business is omnipresent in our day-to-day life and for a potential growth in the market, all kinds of organizations depend on the promotion of their products. 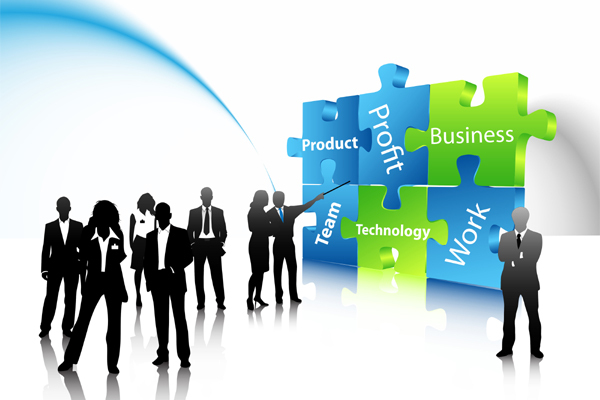 For that every firm requires professionals with sales or marketing background. Marketing is a business discipline which is focused on the application of marketing techniques and administrating an organizations marketing resources. In simple words, marketing is the method of convincing people about a product / concept using different ideas and thus help the business grow. This field which involves advertising, distributing and selling of a product is regarded as the most important element in the growth of any company. Marketing / Sales Management involves studying the marketability of the product involved and the measures to enhance sales and implementing the same. Even though the term marketing has been derived from its initial word 'market', the place where transactions between buyers and sellers occur, it is much more than the original meaning. It is a well planned process of exchange between the customers and the sellers. A marketing process consists of four major Ps; i.e Product, Pricing, Placement and Promotion. Marketing personnel are professionals appointed by the company for convincing the clients and make them buy a product that the business offers. They are the people who create brands and promote their products and services. Sales and Marketing are two of the ever flourishing career sectors in the world and those having a knack for convincing people can find excellent job openings in this field. No specific qualification is required to enter the field, but a managerial position in marketing requires MBA graduates preferably with marketing as the specialized area. Success in this profession depends on ones marketing skills, which include communication, tact, creativity, stress and time management. According to American Marketing Association (AMA) marketing is "the activity, set of institutions, and processes for creating, communicating, delivering, and exchanging offerings that have value for customers, clients, partners, and society at large.” The term marketing applies not only to private business firms but also to almost all other organizations such as government, social service institutions, NGO's etc.